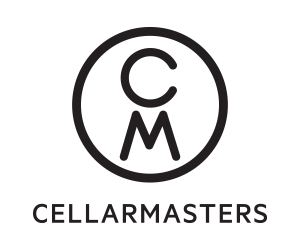 Cellarmasters is operated by Cellarmaster Wines Pty Limited. Cellarmasters is a liquor retailer where you can order products from www.cellarmasters.com.au or by calling our Contact Centre on 1800 500 260 or by joining a Wine Plan. Some retailers have their own policies and restrictions. Before shopping, please ensure you review the Special Terms of Cellarmasters (above) for further information. Complete your purchase in one session and without leaving Cellarmasters. Do not click on any bookmarks or advertising banners or links once you leave ANZ Bonus Points Mall. Your order will be sent from our cellar in the Barossa Valley. To track the status of your order, simply log into your account and select the order number or call one of our friendly Wine Advisors on 1800 500 260. Estimated delivery times: Adelaide, Brisbane, Melbourne, Sydney: 5–7 business days. ACT, NSW Central Coast, Newcastle, Wollongong, Gold Coast, Perth, Sunshine Coast: 5–10 business days. NSW Country, SA Country, VIC Country: 7–10 business days. NT, QLD Country, TAS, WA Country: 10–14 Business days. In outlying areas, please allow up to 16 days. We accept Visa, MasterCard, Diners, American Express and PayPal. To organise a return or refund you must contact our Wine Advisors on 1800 500 260 during opening hours. You must be able to provide proof of purchase before any return is considered and products must be in their original condition and packaging. Where we agree to a return, we will collect the product from you at a mutually agreeable time. Pending collection, you are liable to keep the product in a safe and proper manner and take reasonable care of it. Products should be returned in the original box and packed to avoid breakage in transit back to Cellarmasters. Any refunds will be affected within 30 days after we were notified and agreed to a return and conditional upon any returned products being collected in original saleable condition. Delivery and Handling Fee charges will not be refunded unless we are at fault.